No Gossip please – Publicly discussing or referencing other members is prohibited. Think ‘Appropriate’ – No overtly sexual, voilent, insulting, racist or argumentative postings. Spamming or selling is not allowed. Posting messages for others or advertising your personal profile is prohibited. Insulting postings regarding public companies will be considered as libilous. Discussing the operation & admin policy of AnotherFriend.com is prohibited. Now i can understand the first 3 rules but the last one “Discussing the operation & admin policy of AnotherFriend.com is prohibited.” is just crazy. You are not allowed to critise the site in anyway no thats what i call freedom of speech. You cant make suggestions about the site or say anything bad about it, your post simply wont appear. The site seems more concerned about somebodys “star sign” that their personality. With many options about star-signs appearing. Who gives a monkeys about somebodys star-sign. The Message board is the worst ive ever seen. I tried to make a post about the site and the things i dislike and it was never displayed on the site not only this but to send a message on the message board seems to take 10mins! I mean what the hell and to top it all and this is the worst when you click on a topic being discussed on the message board it takes you to the last page instead of the first! So you have no idea what the original poster of the topic’s question was unless you go all the way back to the first post. To make matters worse the text on the website is very small i know you increase the text size in your web browser but even so. My Avast! found “Win32:Tibia-BU [Trj]” in the lsass.exe which is a Trojan Horse virus while today i was using my PC and i started up my Anti-Virus “Avast 4.8 Home Edition” which is a great Free Anti-Virus package. Anyway when it started up it informed me that i had a virus which was surprising to me because i keep my PC Updated and im careful with what i download. Anyway alarms bells went off and i let the Anti-Virus Program delete the file that was infected. So of course i had to run a full scan which took over 4 hours to finish. No other serious viruses were found however most of the reported viruses were from “Dodgy Software” i downloaded. I wanted to be 200% sure that were no viruses so i went looking for an online virus scan website that would tell me if i had more nasty viruses. Was the first online scan i tried and getting it to work was difficult and when it did work it gave strange results im going to run the scan again as im not sure if said i had more viruses or just that used it incorrectly. The Most popular anti-virus i would guess and so downloaded the installtion file and after 2 mins the viruses definitions were updated. I did a full scan so everyfile on my PC would be scanned and its very slow and seems to be slowing down my PC a good bit as it works away. However it has found a lot of viruses but most again are from “Dodgy Software” “Cracks,Keygens” etc. codec packs such as CCCP (Combined Community Codec Pack). press open. Close all dialog boxes currently open by pressing ok.
fallout3.exe to both ffdshow audio and video decoder�s expections list. Now if you think about this its some state of affairs really considering how bad not only the world economy and irish economy are doing. Its like going round the country on your “Soap Box” and yelling to the citizens to “come drop money in my hat for the poor” while keeping your own wallet tightly shut. thats not to say U2 havnt done anything for the poor but moving your company so you can avoid to pay taxes while im sure its very “Rock and Roll” its a real insult. Thats not to say if anyone was in the same shoes would you do the same? One of the things about being rich ive noticed is that the more people get, the more they want the tighter and meaner they become. 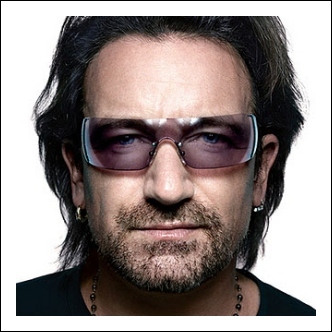 Im sure Bono will re-appear quite soon to promote U2’s new album and will cry if and when it gets “leaked” online before the realise date. Now i like U2 im not a “die-hard-fan” but theyve written some of the best songs over the past many years. Im not sure what to make of the new single at first i hated it now i hate it less but it still didnt impress me. The “Joshua Tree” is a great album what this album is new like i dont really care ive no interest in it.